Dining at Rhubarb will make you feel rather special – the restaurant is set in twenty acres of stunning parkland. 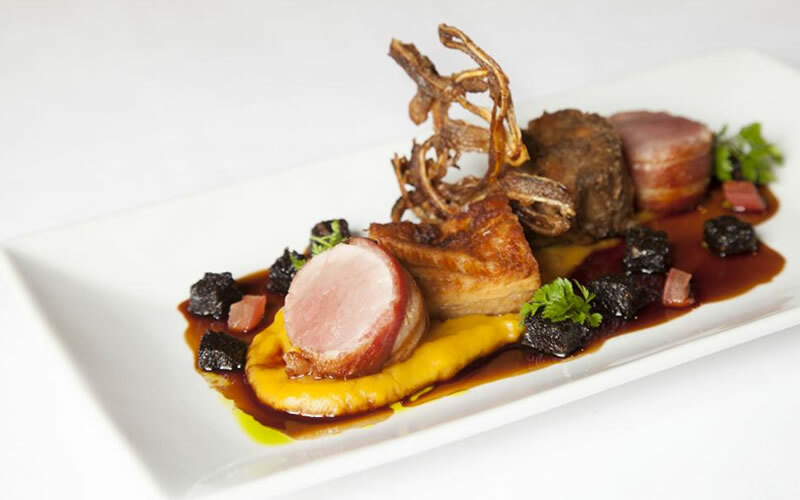 Only a short drive from Edinburgh’s famous Royal Mile, Rhubarb charms guests with classic dishes and a wine menu boasting more than five hundred wines. Take a seat in the baroque-style dining rooms with giant chandeliers and silk wall coverings and enjoy outstanding service by black-kilted porters. 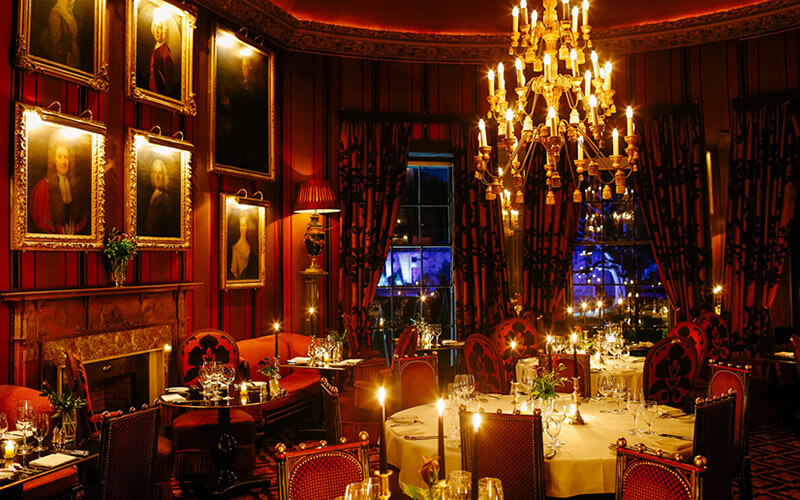 The restaurant is at the heart of the five-star Prestonfield House – why not stay the night? Restaurant Martin Wishart located in Edinburgh’s Port of Leith has been wowing foodies since opening in 1999. 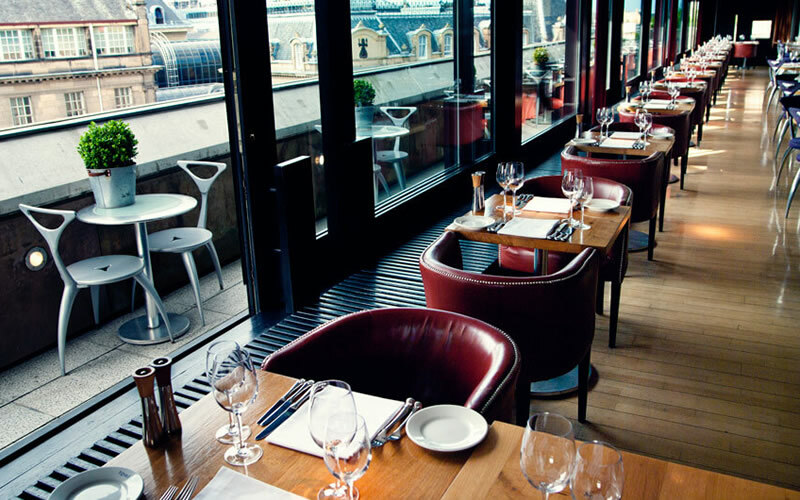 The multi-award-winning restaurant is one of the city’s most refined dining spaces. 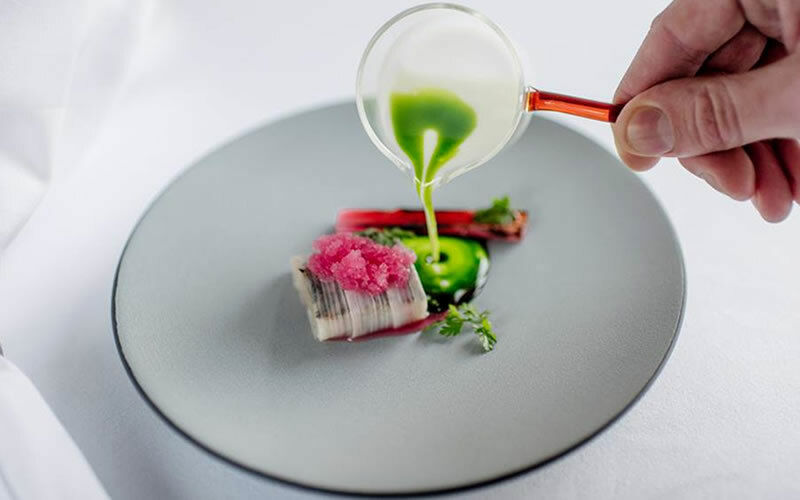 We recommend you try one of Wishart’s tasting menus to make the most of his culinary offerings – there are classic and vegetarian options to choose from. 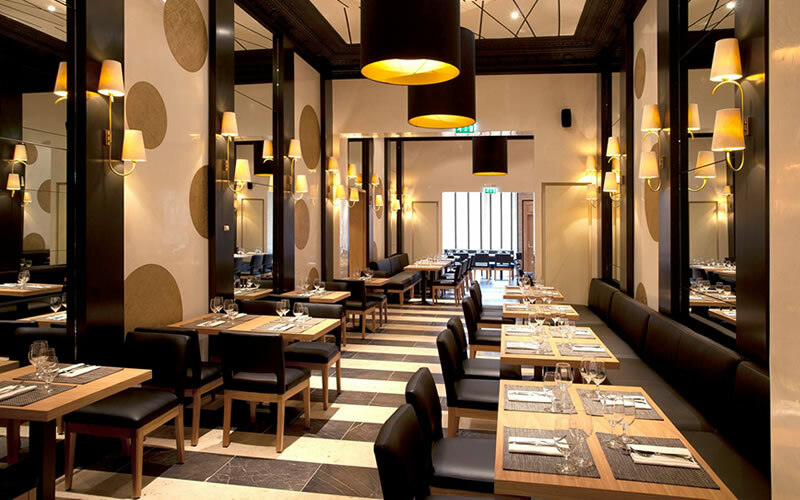 The chef’s dedication to creating an unforgettable dining experience shines through everything here – when he opened the restaurant, Wishart even tiled the kitchen and painted all the walls himself. Perched on the roof of the Museum of Scotland, Tower Restaurant is the ideal place to celebrate birthdays, anniversaries and more. You’ll be able to enjoy outstanding views of Edinburgh Castle as well as the entire city skyline whilst tucking in to sophisticated dishes made from locally sourced ingredients. We recommend their famous Scotch beef and the Cairngorm venison, or if you prefer vegetarian options, the squash and chestnut risotto is truly irresistible. Located in The Caledonian Hotel, right in the heart of Edinburgh’s city centre, The Pompadour will make you feel like royalty. Why? 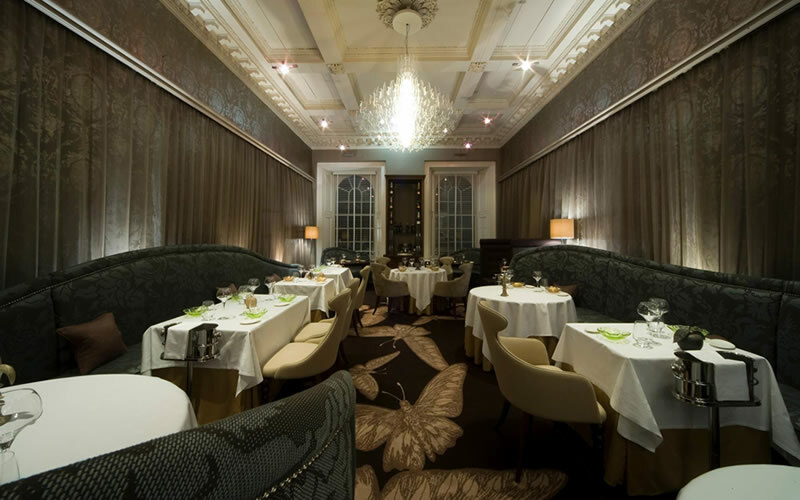 Well, for a start, the restaurant takes its name from the celebrated Madame de Pompadour, King Louis XV’s favourite mistress, which gives you a clue as to why its sumptuous décor resembles a royal court. 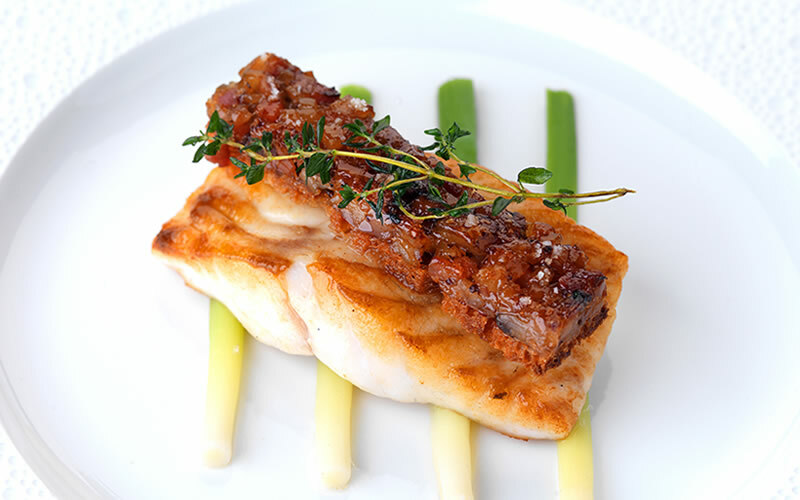 The restaurant’s French cuisine does not disappoint either and seduces guests with fresh Scottish produce prepared using classic Parisian cooking techniques. 21212 is part of a small boutique hotel of the same name located on a Georgian terrace in Edinburgh’s New Town. Chef Paul Kitching really does cook up a storm – guests can observe what goes on in the kitchen through tall glass windows. The menu changes weekly so every dining experience is unique – just like your special occasion. If you’re on the hunt for a romantic dinner location, look no further than The Stockbridge Restaurant. It’s located right in the heart of Edinburgh’s most idyllic neighbourhoods, with tiny cobbled lanes and the Water of Leith running through it – perfect for a post-dinner stroll. Fairy lights and candles flicker while you enjoy carefully crafted Scottish cuisine and some of the most innovative cocktails the city has to offer. Visit OpenTable to discover more restaurants in Edinburgh.